You may be familiar with the term ‘Black Friday’ which actually is the Friday following the Thanks Giving in United States. The term ‘Cyber Monday’ is similar, it is the Monday following the Thanks giving. 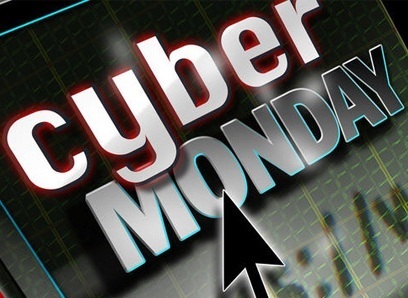 Cyber Monday was created by marketing companies to encourage sales. On this day, companies comes up with amazing deals and discounts, just with the intention of increasing sales of their products or services. This year the Cyber Monday will fall on December 1. In this article I will talk about some of the best online stores to visit during Cyber Monday, to ensure best deals and discounts. Every year during Cyber Monday and Black Friday, Amazon.com comes up with hottest deals and discounts which are simply irresistible. Once you’re done with the Thanksgiving feasting, you can stop by Amazon and grab huge discounts on electronics and tech gadgets. If you aren’t a gadget freak then don’t worry, Amazon has a lot more to offer, you can get great savings on household items, home / kitchen accessories, beauty products, computer accessories etc. Amazon is definitely the best place to visit during Cyber Monday. As the name suggests, CyberMonday.com claims to provide Cyber Monday like deals all year round, so it’s definitely worth a look. At CyberMonday.com you can get great deals on Cell phones, Apparels, Toys, Beauty & Health products, computer, electronics, office & school products, sports, recreation, entertainment etc. CyberMonday.com has over 550 merchants including big names like Apple, Barns & Noble, Target.com etc. so you get best deals at lowest prices. Best Buy is one of the most trusted and used online shopping portal, not only that, BestBuy is also known for it amazing deals all year long. During Cyber Monday the deals just gets better and the already lower prices drop even low, so it’s a win-win situation. BestBuy is known for its Black Friday deals, they claim that the Cyber Monday deals will just blow your mind, which is true. You can catch hottest deals on hot products which include electronics, cell phones, appliances, iPods & Mp3 players, computers, musical instruments, movies & music, video games etc. Walmart has an amazing term which is called ‘Cyber Week’ which starts with Cyber Monday and lasts the whole week. Isn’t it amazing? Get Cyber Monday deals for whole online casino week. Walmart prices are already low and Cyber Monday deals are like the cake icing which is we can’t resist. At Walmart you have very high range of products from clothing, beauty products, baby products, books, electronics, house hold stuff, jewelry, sports, fitness, video games, toys, movies & music cds, health products and much more. JCPenny is another great online store which has one of the best Cyber Monday deals, a great news is that JCPenny also ships products to India, unlike other websites, so Indian users can also take advantage of the deals and discounts. JCPenny offers Free Shipping to anywhere on shopping of $99 or above, which is really a great deal. JCPenny offers deals on Home products, jewelry, watches, bed & bath products, footwear, accessories, handbags, women clothing, kids clothing, men clothing, baby products, wallets, flip-flops, sun glasses and much more. Last but not the least, Target.com is a well-known online store and has great discounts throughout the year, the deals just get better during Cyber Monday and Black Friday. The products offered by Target.com are high quality and from well-known brands, so its deal. You can even drop the prices down using the amazing discount coupons which can be availed using a simple Google search. Target.com provides fast shipping, so your product reaches you on time. Target.com is a best place for Christmas shopping. So these were some stores which you should definitely visit during Cyber Monday for hottest products and discounts. I hope this article was interesting, please leave your feedback.